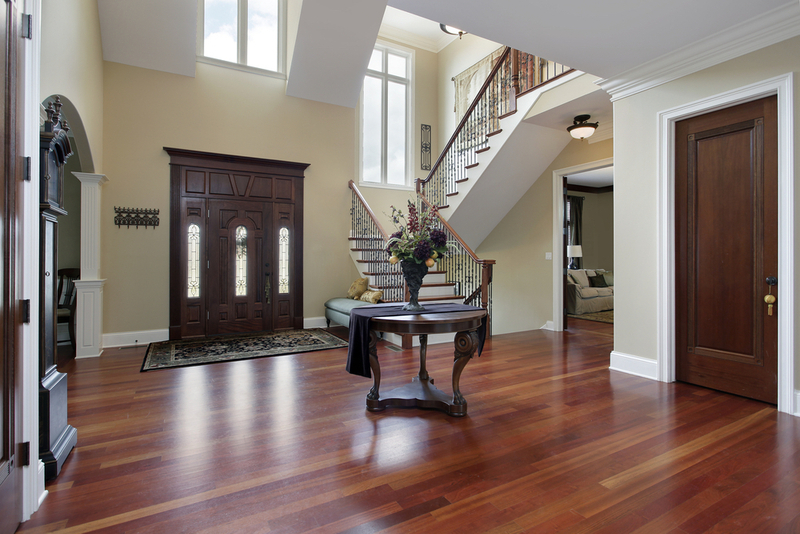 Hardwood flooring is a long-term investment. Hence, you should choose wisely. Therefore, it is important that you ask questions at the time of estimation before you go ahead with installation or refinishing. This step will ensure that you get the right wooden flooring for your home. Moreover, you can derive maximum value from your investment. 1. What Type Of Wood and width of Flooring Is Right For My Home? Different wood species have different characteristics, which affect their performance and color. Ask the vendor about the traits of each species so you can make an informed decision. 2. What Wood Flooring and Finishes are Suitable For Pet Owners? This concern is valid if you own pets. Your pets will scratch and claw the floor. They may also urinate, stain and cause other problems, which may damage the beauty of your flooring. Hardwood floors can work well with pets if you make a careful choice. 3. How Long Will Installation and/or re-finishing Take? A professional wood installation contractor will give you an estimated installation time, explain the process involved, and address other expectations. Ask who will remove the furniture and other items from the installation area and will there be any additional or optional costs. 4. How Will You Tackle Unexpected Issues During Installation? Ask your contractor that if any unexpected issues arise, how he will address them and how it will affect the installation cost. Confirm any changes via email so there is a record. 5. Do They Charge For In-Home Installation Estimate? Some contractors do charge a small fee for estimates. However, a majority of them offer a free estimate. Make sure you organize an in-house evaluation to receive a precise estimate, with no unexpected suprises. 6. Do They provide warranties For Wood Flooring? 7. Do They have Insurance Coverage For Installation? You should not be liable for any damage to your floor or home during the installation. So, ask whether your contractor has a contractor insurance coverage or proof should be provided before starting work. Do not use anyone who doesn’t have up-to-date insurance. 8. Can They Provide Any References? Ask your contractor to provide references to his previous works. Going over their portfolio is a viable means of getting an idea of the quality of work on offer. 9. Will You Choose A Factory Or Site Finishing? 2. Site finishing, done after installation at your home. Most contractors offer both options. Weigh up the pros and cons of each and then make a decision. 10. How Will They Deal With Dust And Cleanup? Do ask the contractor if they offer cleanup services or not. You don’t want to be dealing with dust and other debris after the professionals complete their work. Most contractors do offer basic services for free, but it makes sense to ask in advance. 11. Other topics to discuss?  What sheen of finish should I choose? What are my options?  How much extra is it to stain my floor, what are my options?  What finish should I use, water, oil or poly? why?  Can I get flush mounted wood vents with my chosen floor?  How much extra does it cost to hang plastic and mitigate more of the dust?  Do you use dustless sanding machines? Is the installation process dustless?  Do you include an option to move furniture?  Do I need to remove the baseboard for the project and if so can you do that?  Will you be doing the floor demo (Install only)?  Can I get a high durable finish for my floor?  Will you move and disconnect appliances?  Do we need to remove the toilet or pedestal sink, or can you?  Is the product safe for my family? Make sure you ask these questions at your next wood flooring estimate to get the best bang for your buck. Moreover, you will be able to make an informed decision. It’s an interview process, the more transparent and knowledgeable the contractor is, the better your project will run and the better outcome and service you will get.